Imagine a place where your cat can be cared for, while you are enjoying a well-deserved getaway, the way to which she is accustomed: Meals on time, plenty of play, cuddles, and affection. It’s all about your cat. Your cat has you wrapped around her paw because she’s, well, your beloved feline friend. You give her affection when she wants it. You have her food ready at the expected meal time. You play when she’s in the mood and give her space when she just wants to snooze. A professional cat sitter is just an extension of you. Your cat sitter will make it all about your cat. She will provide your cat with the affection, the treats, the meals, and the playtime that your cat expects and deserves. Attempting to put your cat in a boarding facility probably won’t win you any affection from her. In fact, you might have one annoyed cat on your hands. After all, what cat wants to stay in a strange place around unfamiliar cats and people, following a schedule she’s unfamiliar with while her family is off having fun? There’s simply no place like home sweet home for your cat, who will relish the comfort of sleeping in her own bed, playing with her own toys, and doing what she wants when she wants. Ensure your cat sticks to her normal routine. 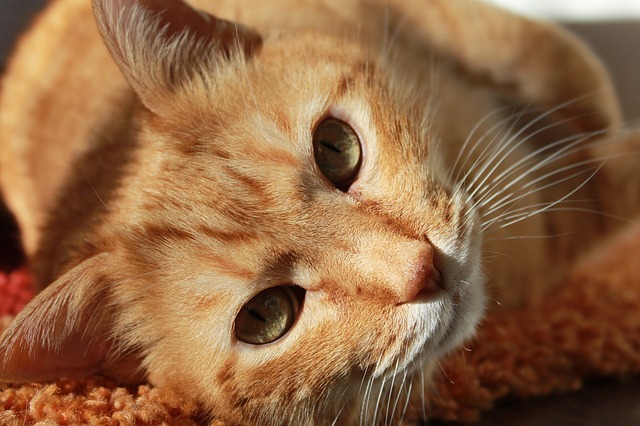 Routine generally helps cats thrive and remain happy and healthy. Your cat knows when it’s time to eat and what she eats. She knows when it’s time to saunter off to her bed and when she should find you for playtime. A cat sitter will allow your cat to maintain her routine. The professional cat sitter will follow your instructions for your caring for your cat to ensure your feline friend doesn’t have a major disruption of her routine. Your cat will get her medication, if applicable. If your cat is requires daily medication, your professional cat sitter will ensure she gets the correct dose at the correct time each day. If your cat becomes sick or injured, the professional cat sitter will contact you immediately to ensure your cat gets immediate care. She’ll have fun! Fun! Fun! What’s more fun than staying at home with a cat sitter? Your cat has run of the house while you’re gone and will be pampered like a queen when her cat sitter arrives to feed, play with, and pet her. Your cat will enthusiastically greet her new friend at every visit. You’ll also enjoy the peace of mind of knowing your cat is happy at home as you will receive an email or a text from the cat sitter after each visit. Why do you think your cat will love having her own cat sitter?